On 7 - 9 March, another successfull Technical Seminar was concluded in Barcelona. Below a report on this industry event, together with the proceedings (accessible for members only). Our industry is faced with rapid changes in technology, some of them of a disruptive nature, which can all have an impact upon the future of labelling. The one and a half day seminar was designed to help companies understand the technical challenges and improve their organisational efficiency, service and profitability by implementing new techniques, methodologies and by employing the workers’ skills and knowledge to the fullest. The official report will follow shortly. In the meantime you have the opportunity to download all the presentations. Below you may find the proceedings. These are only visible when you are logged in as a member. 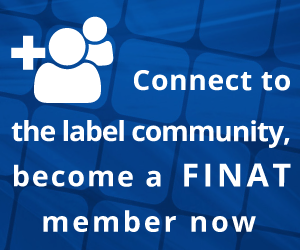 In case you have attended this event, but you are not a FINAT member, please contact the FINAT Secretariat.